My favorite rings. 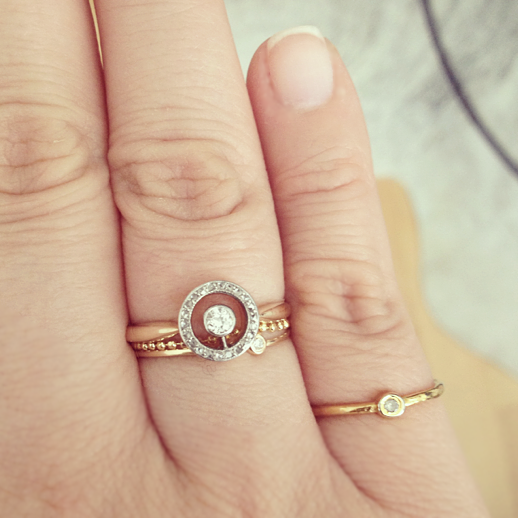 Yellow gold, delicate + dainty. + Victorian Halo Pavé Diamond Ring: Found this beauty on Ebay from Peter Suchy Jewelers. The moment I saw it, I fell in love with the floating design. They also have this art deco stunner... it kinda reminds me of Angelina Jolie's engagement ring. + Gold 'Oui' Ring: After a failed hunt for the original Dior ring last year, I came across this version on Etsy from Street Bauble. Check my original post on it here. + My Engagement Ring: A vintage solitaire diamond set in platinum with a yellow gold band. It was inspired by my great-grandmother's diamond ring. Since I was little, I adored hers- it was classic + simple, so I knew I wanted the same. Love how well it goes with my other rings. 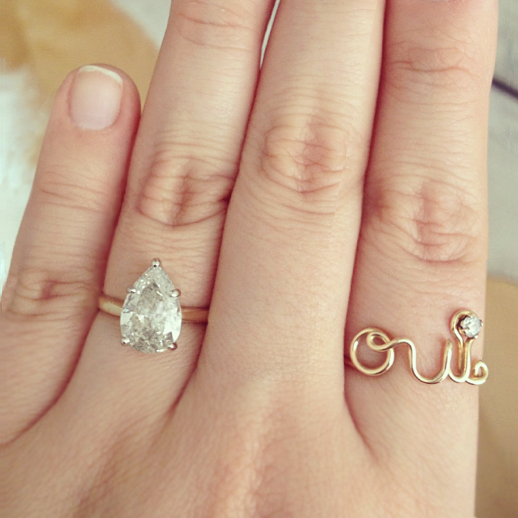 + Jacquie Aiche Diamond Waif Bezel Ring: Cutest lil thing. I got this ring in a smaller size so I could wear it as a pinky ring or as a knuckle ring. 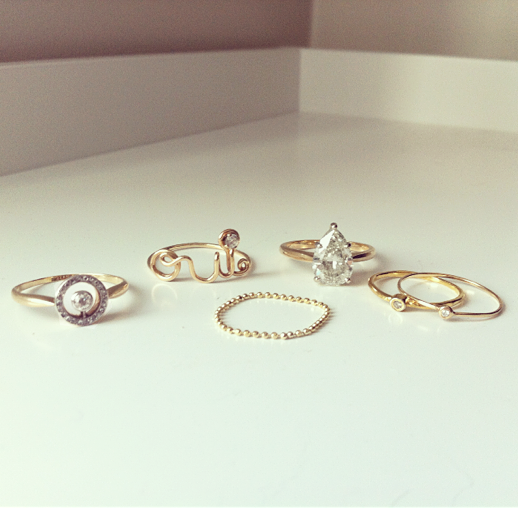 + Bittersweets NY Teensy Diamond Ring: Handmade, thin, delicate + perfect for stacking. + Mara Carrizo Scalise Rain Ring: Love the this texture this ring gives to my stack.